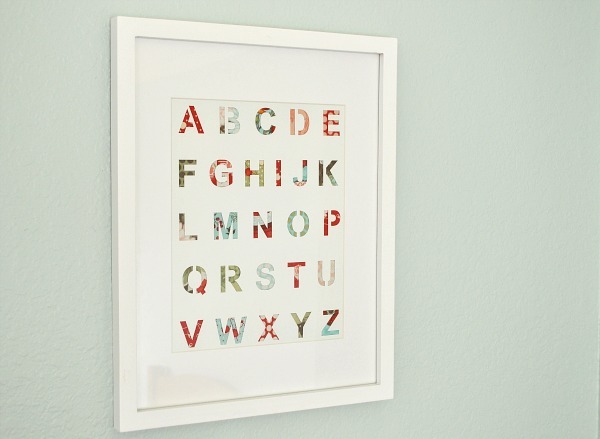 I love alphabet displays and this fun stencil alphabet version is inexpensive and easily customizable with just a few fabric scraps. And E-A-S-Y! See the personalized alphabet art tutorial over at The Mother Huddle.